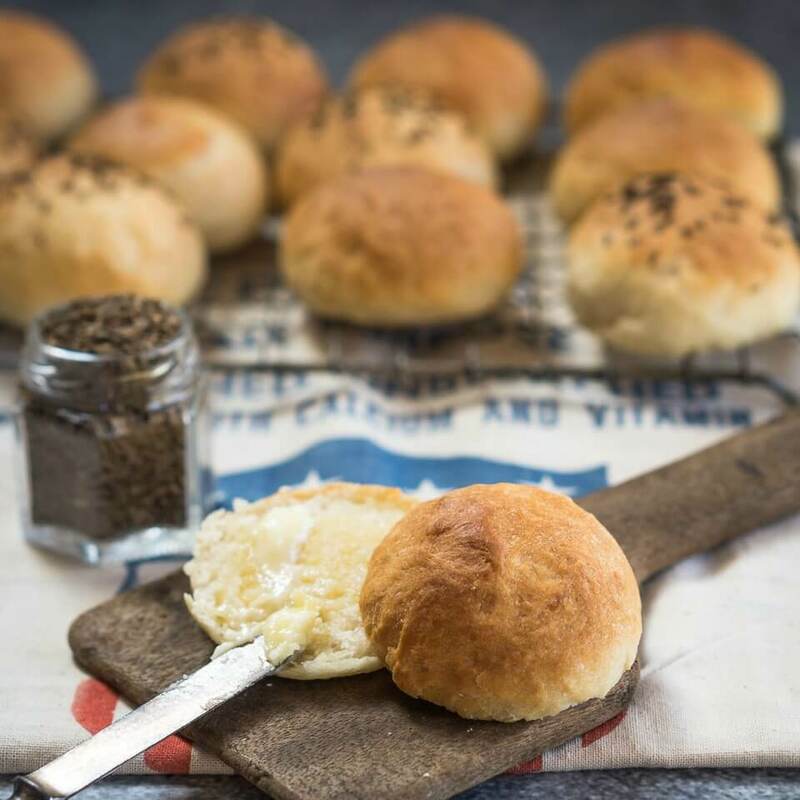 A Brioche Bun recipe that makes a soft and buttery bun that is strong enough to stand up to the heartiest of sandwiches or burgers. I grew up thinking that I didn’t like eating sandwiches. The sandwiches that we had started with two pieces of white bread with a dry crust. You could swallow them with a glass of milk, and I usually tore off the crust. How pitiful is that? I wasn’t abused, everyone’s sandwiches looked like that. If only I had a soft and buttery Brioche Bun! As I got older, the store-bought bread got better, but it wasn’t until I redefined my idea of a sandwich that I could say bring ’em on! You know I love baking bread and bake most of the bread that we eat on a daily basis. Brioche buns make a great sandwich. My go to is a Harvest Grains Bread recipe, developed by King Arthur Flour. Some sandwiches just belong on a bun. You know, those sandwiches that take two hands to eat. This recipe was also developed by King Arthur Flour. I’ve made them several times. Their recipe says that it makes 6. I would say it makes 6 bread bowls! I remade them into 8 and they were still a very generous size. I say for a reasonable sandwich that is a balance between ingredients and bread, that this recipe makes 10. 10 good-sized brioche buns that are the size of a regular hamburger bun. Their recipe says that it makes 6. I would say it makes 6 bread bowls! I remade them into 8 and these were still a very generous size. I say for a reasonable sandwich that is a balance between ingredients and bread, that this recipe makes 10. 10 good-sized buns that are the size of a regular hamburger bun. 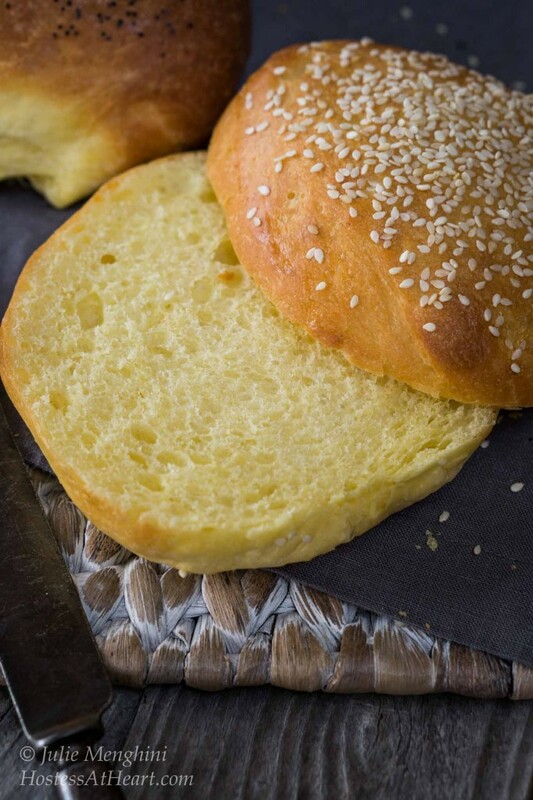 These Brioche buns are easy to make, buttery to eat and freeze well. You can top them with anything you like. John likes sesame seed, but poppy seed or just plain is delicious too. Another nice thing about this recipe is that you make the dough up one day and bake them the next so it isn’t an all-day thing. Since I wanted these Brioche buns all about the same size, I measured the ingredients on a kitchen scale and then weighed my dough so I could split it into 10 perfect sized pieces. I also use a thermometer to test my bread for doneness. Mix and knead the dough ingredients —I used my KitchenAid mixer. Go to the original recipe shown in notes if using a bread machine. Hand kneading isn't recommended for this recipe. To make a smooth, shiny dough. It starts out sticky and takes 15 to 20 minutes of kneading in a stand mixer to develop. I used the paddle attachment for 8 minutes and then switched to a dough hook attachment, all on a speed of 4. Form the dough into a ball, place it in a large greased bowl, cover, and let it rise for 1 hour. Refrigerate the covered dough overnight (or 8 hours+), to slow its rise and make it easier to shape. The next day, remove the dough from the refrigerator, and divide into 8 to 10 pieces, depending on the size of the buns you want. Shape each piece into a ball, and place onto a lightly greased or parchment-lined baking sheet, leaving about 2" to 3" between them. Cover the buns, and let them rise until they're quite puffy. This may take as little as 1 hour; or more. Towards the end of the rising time, preheat the oven to 375°F. Brush the buns with egg wash, and sprinkle with seeds if using. Bake on the middle rack of the oven for 10 to 15 minutes, tenting with foil after 10 minutes if they appear to be browning too quickly. 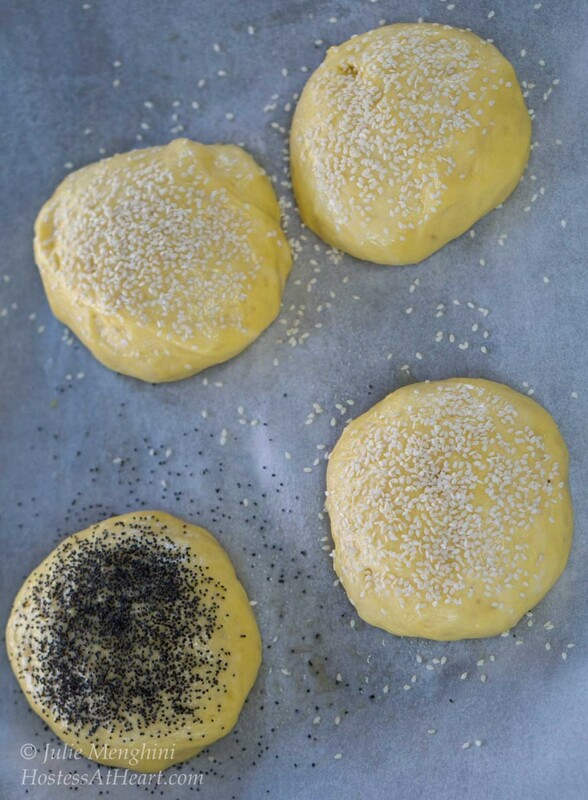 The finished buns will register at least 190°F on a digital thermometer inserted into the center. Remove the buns from the oven, and cool on a rack. Prep time doesn't include the overnight rest. 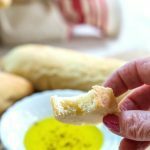 If you love baking bread as much as I do, here are a few of my favorite recipes! Brioche buns are my favorite for burgers! These buns would be such a hit at my house! Thank you Madi! John loves these rolls for his sandwiches. Brioche is my favorite! 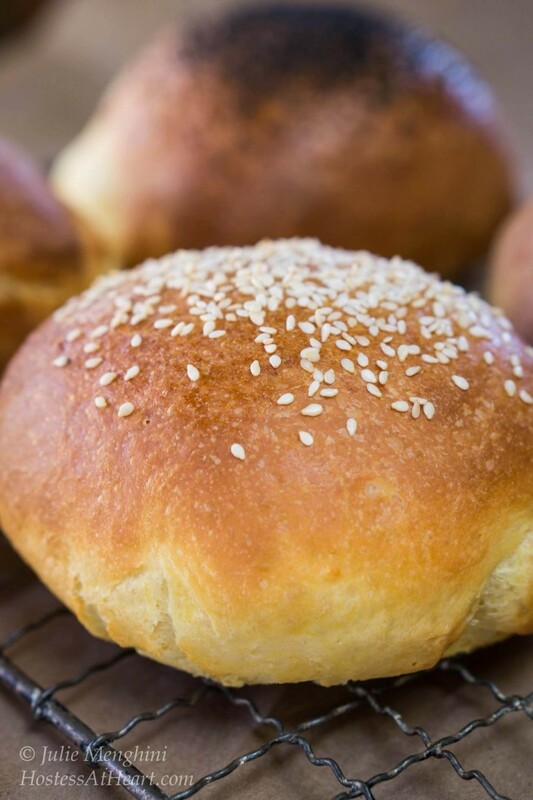 These buns look so light, airy and delicious! 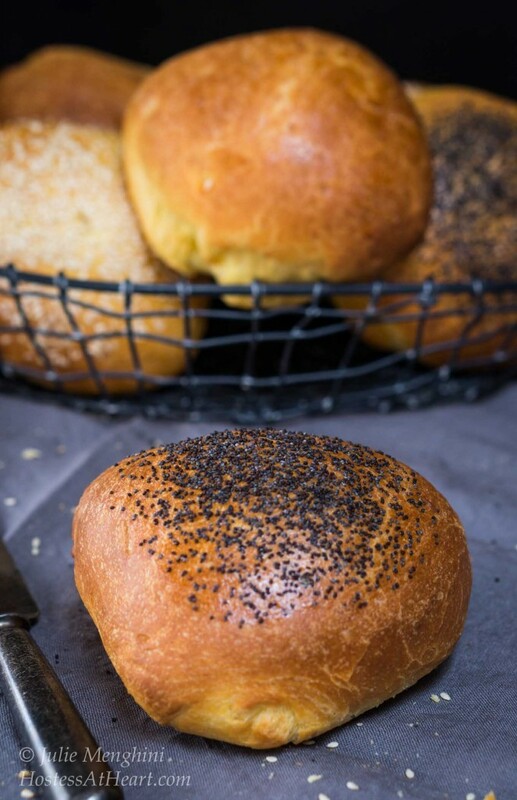 I really like the sesame and poppy seed toppings, too… So pretty! Thank you Michele! We do too. These are perfect for some amazing breakfast sandwiches and grilled cheese sandwiches! 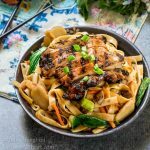 I love the buttery flavor and the texture provided by the sesame seeds sprinkled on top! Thank you, Jennifer! That grilled cheese would definitely be amazing! 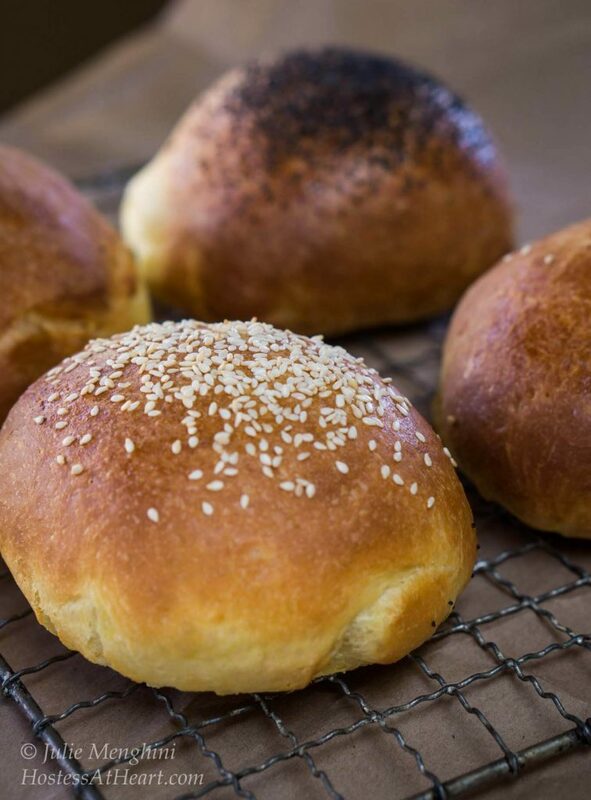 There are soooo many sandwiches that I would love to eat on these brioche buns! You make the best bread, Julie, seriously! These are gorgeous!! These would make a great addition to my table this weekend! Thank you, Michaela! I hope you had a great Easter! You are the bread making master! These buns look so delicious and I can only imagine how delicious your home smells. 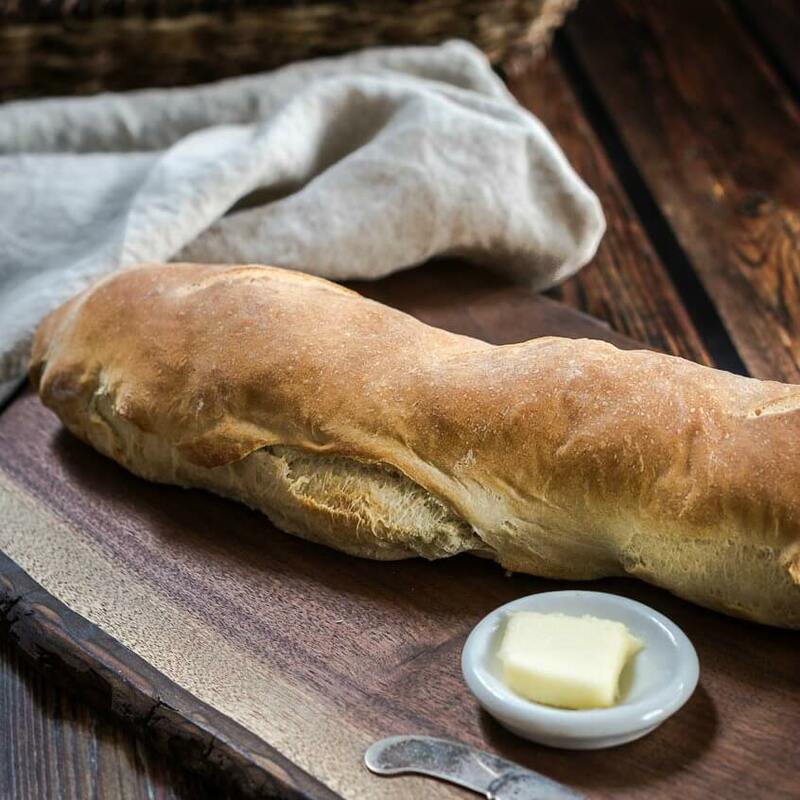 Homemade bread is the BEST!!! Thank you so much! I have so much fun playing with bread dough! These look awesome. I’m picturing a little sandwich with fresh tomato and buffalo mozzarella. Yum! Thank you Debi! That would make the perfect sandwich. It reminds me of summer and I hope it is a heck of a lot warmer than Spring has been! These look perfect!!!! I think i’d have to make a fantastic breakfast sandwich using these!!! Thanks for another incredible recipe! I love brioche, so deliciously soft (and great for French toast too). These look fantastic! Thank you Caroline! Hope you are enjoing FF! This brioche bun looks so good.. I am salivating! When can I visit you Julie?? I have to taste some of your goodies!! Just kidding!! ( about visiting) Happy April Fool’s Day! Are you kidding? I would LOVE to bake a few for you, and I would welcome you at my kitchen table anytime! Beautiful! And so much better than hamburger buns!!! They look amazing, so perfect! And now I realise why my buns are always different sizes..I never think to weigh the dough!! Thank you Elaine! This is basically a no fail recipe. 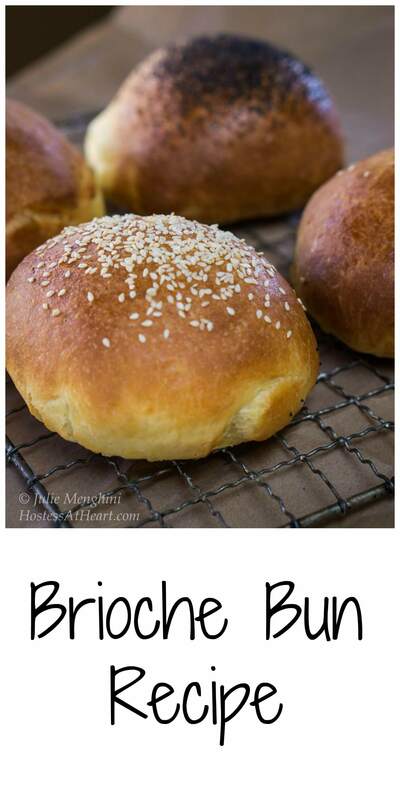 These brioch buns look so soft and delicious- perfect! Thank you Judi! I had a reader suggest making a bunch and putting them in the freezer. I think that is exactly what I will be doing. I love grilling season! Thank you Lynz! They are quite fun to make, and delicious to eat. Thank you Aena! 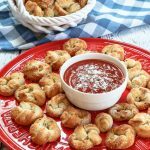 They are so yummy and easy! Have a wonderful day! Oooooh a freezer full. That would be like gold! Thank you Jane! I felt the same way Julie, I’ve never been a fan of sandwiches, they just never floated my boat. My ex-boyfriend loved sandwiches and somewhere along the way I also fell in love with them, but it all starts with the bread. Loving the recipe. Can’t wait to try it out myself. Thank you Mary! We are definitely on the same sandwich page! Let me know if you give them a try. They are easy to make. 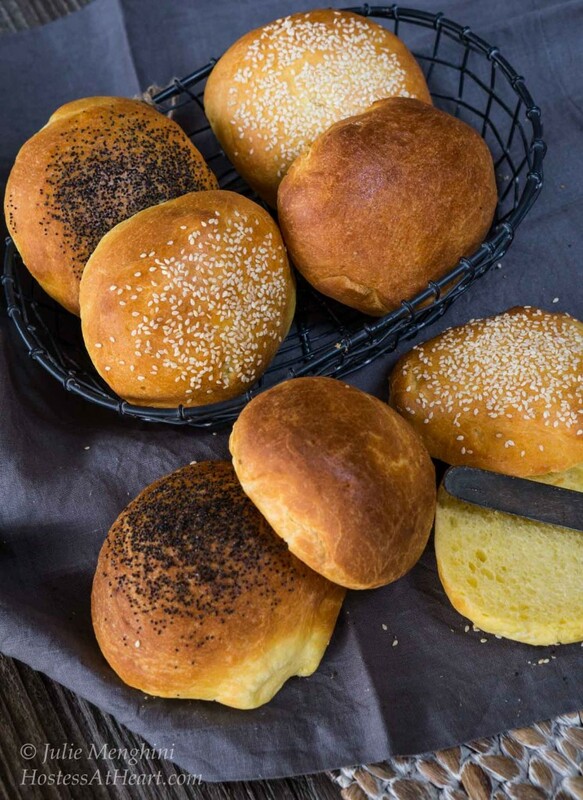 Your brioche beautiful buns would make any sandwich into a super star. Thank you so much! I appreciate you stopping by and hope you have a wonderful day. Eggs are adding to the strength of these buns, I guess! Thanks Sonal! KAF is my go too. I love their forum and read the reviews so I know they are going to work without me experimenting. It drives me crazy when you try a recipe and that there is no way it’s going to turn out. Thank you so much Jess! I know they will come out perfectly from your kitchen too! I know just what you mean about not being a sandwich person, I am the same way. And it is a whole different world when you use high quality bread, especially homemade! 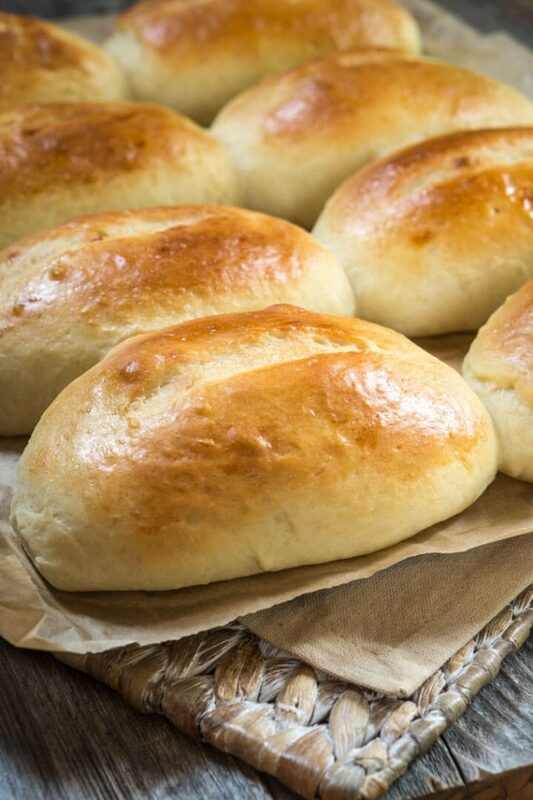 I have been wanting to make my own hamburger buns forever but have never gotten around to it. Need to try this! Thank you Meghan! This is an easy peasy one and comes out great every time. You need to open a bistro or something Julie! Such amazing breads you bake. Not Kidding! Ha! I used to think that sounded like fun, but these cooking shows show how unromantic that venture would be. Super Julie, better than a bakery, definitely perfection in those brioche buns. Love the different kind of toppings you’ve used. I hope you enjoyed your Easter. I have some questions on the bread thingy, I’ll shoot you off an email about it sometime soon. Thanks Loretta! Shoot me an email and we can chat. We finally have a beautiful day and things are greening up. So excited to go walking today. Ha! You’re hilarious. I would have been a fat little Julie if I would have had these buns to nosh on! I only made true brioche with the little knob on top about 36 years ago and thought they were so much work, I never made them again!!!!! Yours look so light and not too hard to make. Have I had enough time off? Ha! Good to see you Johanne! I’ve never made the knob brioche. This one is easy! 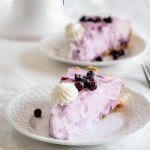 I was going to say as easy as pie, but I don’t know who coined that phrase, pie isn’t that easy! Thanks Debbie! I like them now. I just didn’t like the plain Jane dry things called sandwiches when I was a kid.